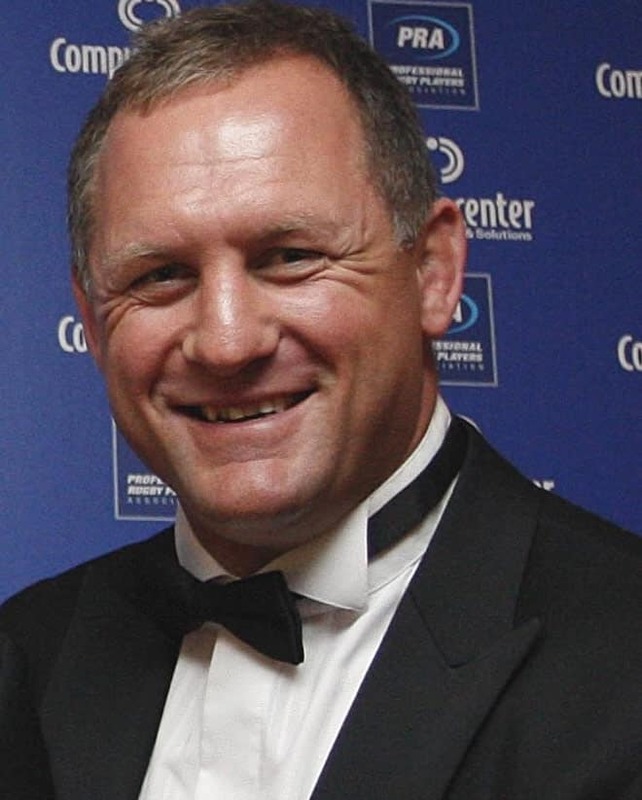 Rugby World Cup winner Richard Hill is one of the world’s greatest back row players, a reputation he firmly cemented with inspirational performances throughout his international career. Known as the ‘Silent Assassin’ Richard had the unique ability to perform at a consistently high level for both his club Saracens and for his country, proving himself the ultimate professional. Hill appeared in every England squad from the U-16 level onwards before making his senior debut in 1997 against Scotland. Within only a few months of his debut and having won only 4 full caps, he became a British Lion, a feat he was to repeat in 2001 and 2005. By the end of an illustrious professional career Richard had amassed 71 caps for his country. The pinnacle of his career came in 2003 with the defeat of Australia in the World Cup final. For many Hill was the heartbeat of the England team during the modern era, he was the only player never to be dropped during Clive Woodward’s reign and at his peak his name was the first to go down on a world XV team-sheet. To both the England and Saracens teams Richard showed immense dedication and commitment throughout his career. Shunning lucrative offers elsewhere Hill chose to remain at Saracens for his entire professional career, showing a sense of honour unusual in these times. Post career Richard went on to work at Saracens in business development, community outreach and as Academy Coach and Mentor. He now sits at the heart of the England set up with a seat on the RFU Council, and acts as a consultant to the RFU helping to identify, mentor and develop young players both on and off the field. As former England coach Brian Ashton said ‘Richard personifies everything that is good about a professional rugby player’.